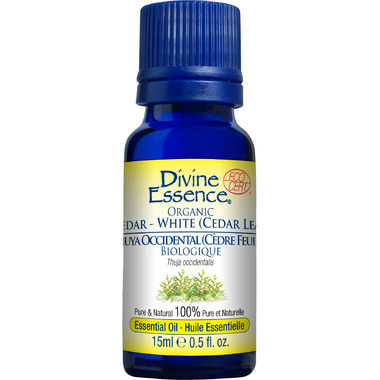 Divine Essence White Cedar Leaf Organic Essential Oil has a sharp, sweet, woodsy scent. This essential oil is traditionally used to cleanse and disinfect, enhance conscious thought, ease inflammation, and repel insects. Has a bit of a musty scent, even for Thuja, but overall I like this product.